And while I had serious doubts that it was going to happen, I at least called it correctly in saying it wouldn’t be the Rui Kang Group, but would be a third party that we knew nothing about. Facts that must have really wound the media up, as not one of them called the outcome correctly. Indeed, if you read Lerner’s farewell note, it seems he’s taken great delight out of saying how far off the mark the media has been. Even though many fans have been doing some digging into our new owner’s background, not a lot of useful information has been found. Not the sort of information that us fans are most interested in, anyway. Hence it’s difficult to really make a judgement on what to think. Now earlier reports that I read were suggesting that Dr Tony Jiantong Xia was the CEO of the Recon group, which had me wondering how any company CEO could front up £62 million and promise investment? Granted, CEO’s of big companies earn mega money, but on this scale? So imagine my delight when I discovered that he’s not only the CEO, but he actually owns the Recon group. “Recon Group is a privately owned holding company that owns the controlling interest in five publicly listed companies on the Hong Kong and Chinese stock exchanges and many other private companies employing 35,000 people in 75 countries….. This casts an entirely different light on the matter, as the actual owner of a group that has controlling interests in any number of companies that employ 35,000 surely has to be seriously rich? I had to look up the word “Glutamic” (mentioned in the link) to see what it meant, but I should have been able to work it out. It’s related to Monosodium Glutamate, a flavour enhancer that’s frowned upon in the west, but no doubt very popular in China. And any company that’s the biggest in it’s field in China has to be worth serious money simply because the market is so large. And that’s before we look at Recon’s other areas. All of which raises another question. No doubt we’ve all heard that China, led by massive footy fan and President, Xi Jinping, are looking to make a major push into turning the country into a footy superpower. And given that it seems Dr Xia was fast-tracked/sponsored/favoured by the Chinese government, where you would expect that he sort of owes them, does that mean he might have bought the club under “guidance” from the government? That’s very speculative on my part, but we all know how these things work. What I’m getting at is, I’m wondering if we have another “Roman Abramovich” class owner on our hands? Not that I’m for one minute suggesting that the source of his money is dubious, a la Abramovich. But it seems that Dr Xia was fast-tracked into heading companies involved in urbanising Chinese people, something which was necessary for China’s economic growth and pretty much a guaranteed money-spinner. 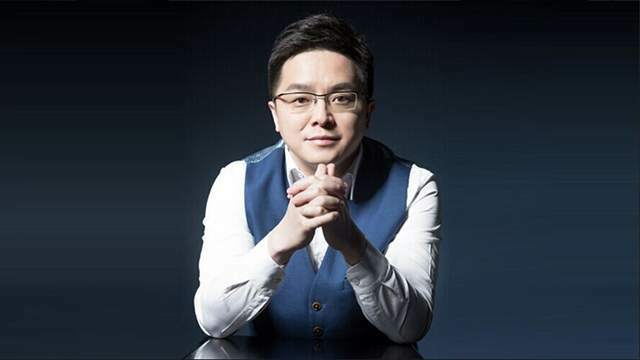 Hence what I mean is Dr Xia might have comparable wealth to Abramovich. Imagine a massively wealthy owner, that has the “unofficial” backing of the Chinese government. That can only be seriously good news, if my guesswork is anywhere near the mark. Of course, I might be miles off the mark and the simple fact is that buying an asset outside China makes very good business sense, in that the Chinese economy could seriously explode in a bad way. See here if you’re remotely interested in business talk. The article even hints that things are being driven “from the top”, which goes back to what I was suggesting. Anyway, Dr Xia is apparently a massive Villa fan and has been for years. Hmm, so was Lerner, wasn’t he?. Would a fan of the club really walk away for years and leave us in this state though? Not a chance. So while I’m very dubious about that sort of talk, it’s good that Xia does have a genuine liking for the game, with him having been a pretty useful striker in his day. That said, I’m happy to feel optimistic about this deal, as there is plenty of upside. At the end of the day, Lerner has gone and that alone has to be a good thing, as we were on a serious path of decline under his tenure. While I love all the talk about infrastructure and turning us into the biggest club in China (the thought of that latter point is mouth-watering in itself), at the moment I’m not in the slightest bit interested. A genuine investor will have a strong belief in what he’s doing and will pump money in, where it’s needed. And we all know the utmost priority has to be the squad. Everything else can wait, in my opinion. We have to concentrate on getting the Villa back into the Premier league and back on the world stage as quickly as is possible. And if Dr Xia is as good a businessman as is suggested, he’ll know this. Which is where I’d expect a serious spending spree in this coming window. If it doesn’t come, it won’t take me long to conclude any bright future will have truly gone out of the er, window. And then we have all the manager, player and board member type subjects to talk about! There was I thinking it was going to be a boring summer, Villa-wise. Oops, I nearly forgot the poll. Interesting how he claims 6-7 new players and then bringing up academy players. There’s an article mentioning renaming VP to Lotus VP ????. Come to think of it Lerner alluded to something about using the stadium as a source of income in his leaving message. The biggest investment Xia has appears to be in a loss-making business. I can’t see where the funding is coming from. Of course it could be something as simple as the scarcity of information available. I have always worried that Lerner, for all his faults, was at least honest and well intentioned, but that our next owner may simply see us as an opportunity to make money. The price the club has been sold for brings it into the realms of some convincing conman drumming up funds looking for a quick return. I keep trying to look at this positively but I have always had this feeling of doom about our next owner. Reading Hollis’ statements, and having seen the interview with Xia on tonight’s “Midlands Today”, it seems that the £60m quoted deal is only part of the story – Hollis implied that the total cost could be over £100m, but declined to give any more detailed explanation of the transaction. I believe the price goes up if we get promotion next season. Plus he is probably adding in advisors costs. So the alternative is to put ‘that’ £40m into one pocket, and find £40m from another pocket? They need to spend it on players, not on paying managers/coaches/PR people – what difference does it make ‘which’ £40m it is? Instead that money would go to wages, marketing or something else. You do realize that money isn’t just extra funds out of nowhere. The players and staff have to get paid and the fans pay nowhere near enough to cover them. It’ll go other places. So as Ardent said, what does it matter if that 40m goes to players instead of his own 40m? Do you think Chelsea and Manc City fans have the same misgivings – not to mention Manure and Liverpool! Either Hollis has done proper due dilligence or he’s had the wool pulled over his eyes real-big-time, then gone widely on the record saying how sound it all is? H60, to answer your earlier question about being a Front. The Chinese government has to divert its people’s attention, a requirement of many governments ever since Rome”s Bread and Circuses. Sport is much preferable to war. China lags in its football standard, though how much behind the performance of the current Villa squad they are is very debatable. So a grand plan to send Chinese players to play in Europe to improve their standard, and use Villa as a nursery? Entirely possible in my view. A Front for money? I do not want to go into detail but the Yuan may be heading for a sharp devaluation. Convert to Sterling, buy a football club before the devaluation and you have protected some capital. Also unlike here where you can hold bank accounts in foreign currencies or move as much money as you have got out of or into UK, China has a restriction of 50K Dollars or equivalent per individual just to move the money offshore without buying any assets. Buy assets and there is either no restriction or a much less onerous restriction. Those are a couple of kites that might fly – we will see what happens. “We have a searching team working on the manager,” said Xia. “Roberto was one of the choices from the start. Didn’t Cook leave Citeh under a cloud???? Yeah, I think he fell out with Onuoha, something unsavoury involving his mum if I remember.